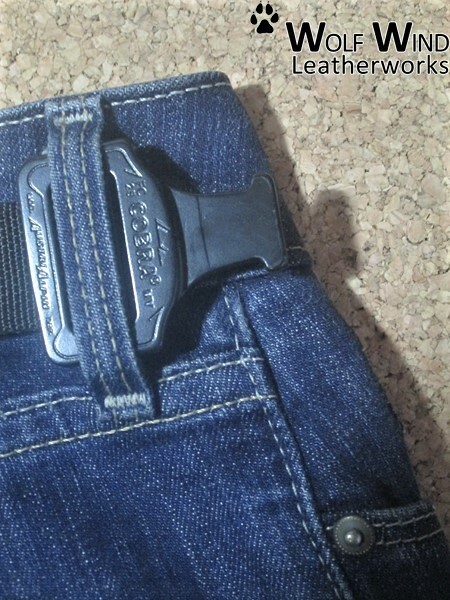 open carry (OWB) or concealed carry (IWB). 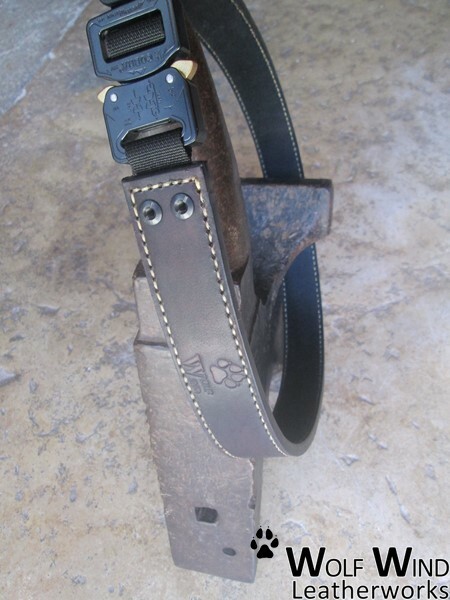 Whatever you choose carrying a firearm, the Wolf Gun Belt provides a strong support because is built for ruggedness and durability, not only through the reinforced thick leather straps as also, with the additional AustriAlpin Cobra Buckles - the strongest quick release buckles - made of extremely resistant material for most extreme situations, never disengage under load, which make this gun belt one of the most functional and reliable belts. (19-20 oz), for strength and durability. It is lined in grainy on inside that will prevent the belt from slipping round. 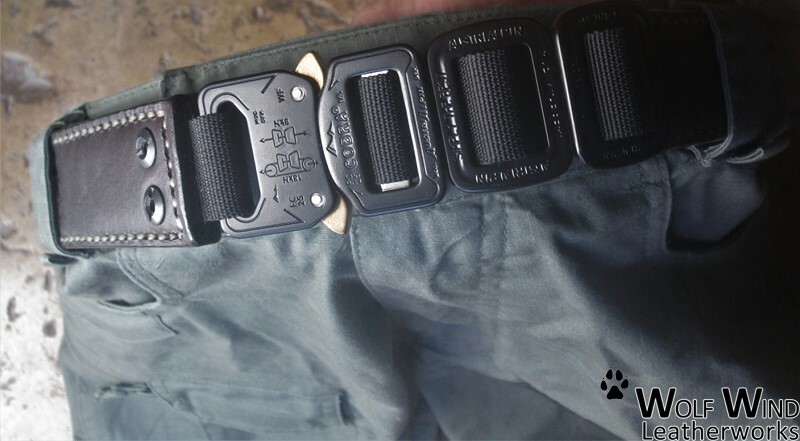 Like all the Wolf Wind Belts, I measure, cut, prepare, stitch (except the Wolf EDC Belt which is the only belt not stitched) and finish each belt myself. 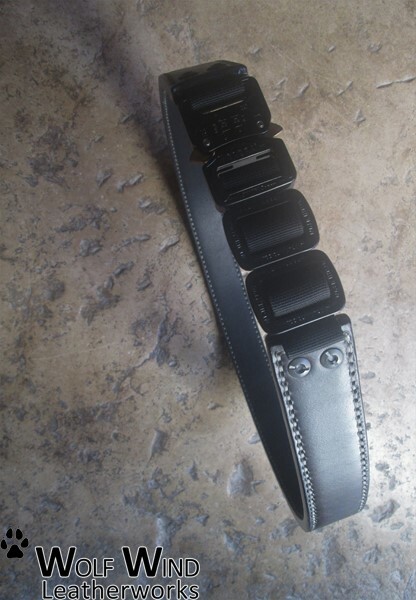 Totally handmade and hand-stitched (there is NO SEWING MACHINE), it takes between 600 or 900 stitches depending on waist size, but I believe that this belt worth the effort and make each item unique. 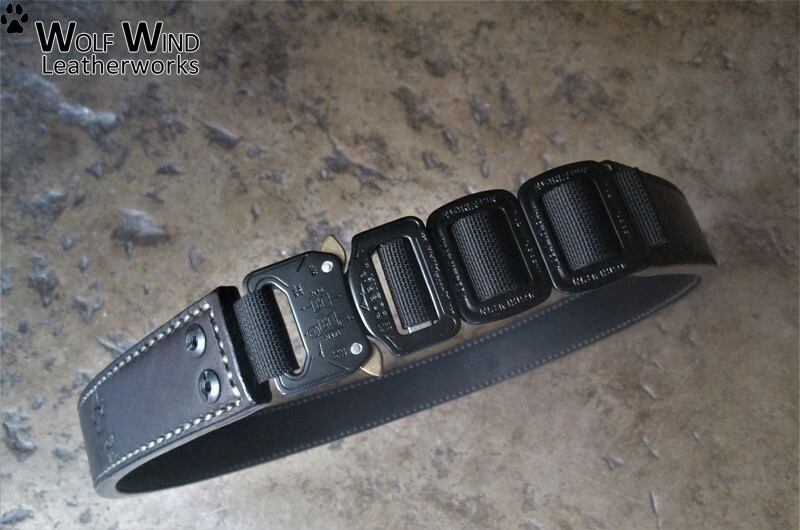 The Wolf Gun Belt is made and designed specifically to suit its purpose and will last a lifetime, potentially several, since it´s almost indestructible. It ages well and it will acquire an awesome patina. All the hardware is MADE IN USA and EUROPEAN UNION - of the finest materials. 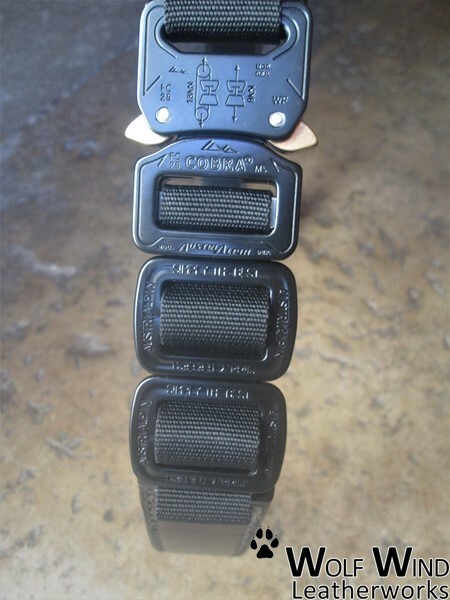 - AustriAlpin Cobra Adjustable Buckle -quick release- always two finger safety release only. 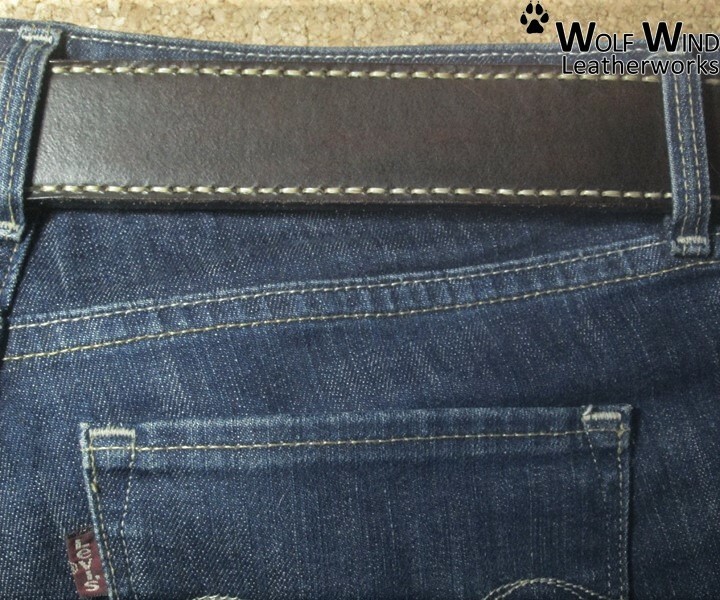 b) For an IWB purpose: to wear an IWB holster with your Wolf Gun Belt, measure your current belt with a measuring tape through the belt loops of your pants when you wear your IWB holster. Natural, Black or Dark Brown ?